As we all know, the latest buzz going around the ‘net has been about the leaked emails from Sony Pictures and in particular the future of the Spider-Man film franchise. 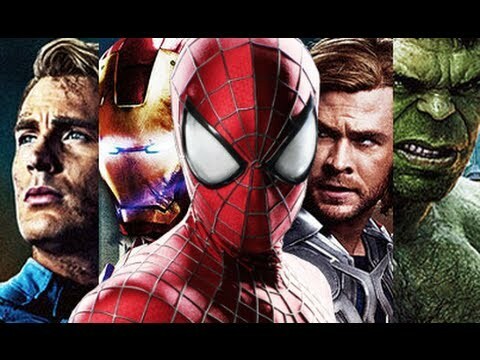 We learned that Sony and Marvel Entertainment came agonizingly close to having Spidey appearing in 2016’s Captain America: Civil War and in other Marvel Cinematic Universe (MCU) movies. Additionally, the emails it’s clear that the Sony executives were up in arms over where to go forward with the franchise. 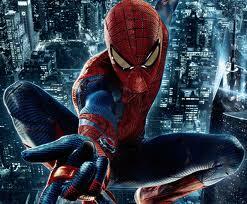 T he Amazing Spider-Man 2 underperformed (and for good reason!) last summer in theaters and took a vicious beating from critics and fans over its convoluted script and having too many characters. The emails prove that Sony knows something is wrong with the franchise, and also demonstrate how they badly lack any creative solutions. Let’s look at their idea for an Aunt May film which would reveal her secret life. Really? That is one dumb idea. Why not have a kid-friendly film starring Ms. Lyons the dog? Then there was the notion of making an animated comedy film about Spidey. That would go over as well as that Broadway play. Or how about a movie about an unnamed female superhero? Sorry, but other film studios are coming out with high profile superheroines like Wonder Woman and Captain Marvel. Seriously, these kinds of ideas make the planned Sinister Six movie to be a brilliant move! What’s worse is that The Amazing Spider-Man 2’s reception has cast a doubt on continuing the franchise to the point that the planned Venom movie is all but dead and now the likelihood of a Sinister Six film is in doubt. The fragile nature of these films underscore how much the Spider-Man film franchise is in trouble. Announcement after announcement fail to drum up any interest among fans or worse hostility. The only Marvel property that generates more hostility is next year’s Fantastic Four reboot. Smelling blood in the water, many fans are ripping apart the two recent Spider-Man films and a war cry has started for Sony to sell the film rights back to Marvel. That’s regrettable. The reboot had some good parts and shouldn’t be completely disregarded, especially the first film. What the reboot got correct is that the films moved away from Sam Raimi’s Silver Age-inspired films that were kind of goofy and a bit dated. 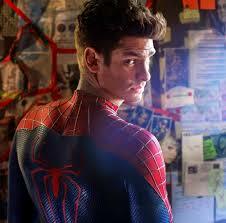 The new Peter Parker, played excellently by Andrew Garfield, wasn’t a textbook nerd anymore. He was more of a loner, an outsider, and he seemed more modern. Peter was someone who had trouble connecting with the world around him until that famous spider bite changed his life. And the way Spider-Man was presented was just spot-on perfect. He was brash, wise cracking, nimble and at times it seemed like pages from a comic book were literally put on the silver screen without missing anything. Then there was the near-perfect chemistry between Peter and his love Gwen Stacy (Emma Stone). Some may wonder why Marc Webb, a director known for a romantic comedy – (500) Days of Summer – was picked to direct the rebooted films. Part of that had to be with the success he had with (500) Days of Summer, a genuinely funny and affecting movie that was a chick flick for guys. Webb was able to convey a moving romance between Peter and Gwen and they were the highlights of the rebooted films. However, other parts of the films had severe faults, like cartoony villains and haphazard editing, which is why it’s likely that Webb won’t come back for future Spider-Man films. 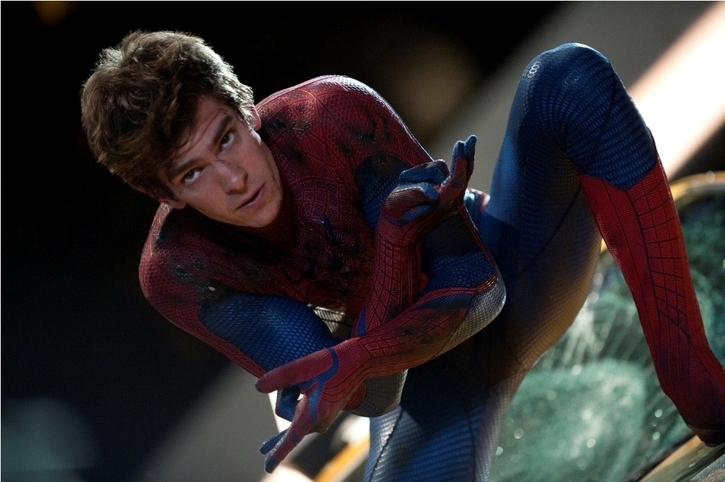 As great as Andrew Garfield’s performances were it seems that they weren’t enough to keep Garfield around as Spider-Man. One of the conditions that Marvel Studios demanded was to recast the role (something that was one of the breaking points with Sony) and there are rumblings that now Sony wants to replace Garfield. That would be a poor choice because he was the best thing about the two films. That would be like firing Christopher Reeve from the Superman films! 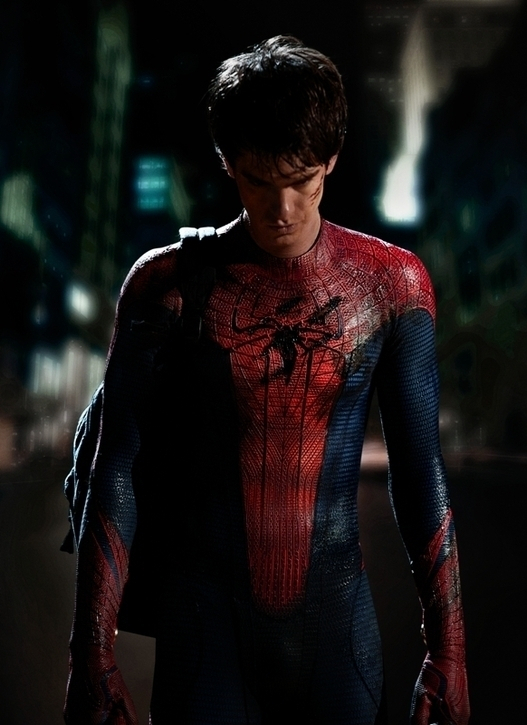 But to play devil’s advocate it would make some sense because Andrew Garfield was 27 when he first played Spider-Man. The next entry in The Amazing Spider-Man films is scheduled for 2018. That is a long ways off and the actor will be in his mid thirties by then and probably too old to play the part. If The Amazing Spider-Man 2 had been better made and more successful, we could’ve gotten at least one more film from Garfield because the sequel would’ve come out as originally scheduled in 2016. The state of the Spider-Man films has to be blamed on Sony Pictures executives who saw the success of the MCU films. Their model of a lone superhero film franchise seemed outdated in light of Marvel Studios, Warner Bros. and 20th Century Fox announcing interconnected superhero films where characters would appear in separate films. Marvel Studios was able to pull off this logistical challenge and now other studios, including Sony, want to copy that model. But the makers of the second rebooted film found out doing that wasn’t easy. In order to do a Spider-Man shared universe of films, what was needed was compelling characters and sub plots ripe for spinoffs. That is why The Amazing Spider-Man 2 was such a mess because of the way Webb tried to juggle too many characters in one film, while neglecting core aspects of Spidey (the movie completely ignored the subplot of Uncle Ben’s murder!). The attempt to create an expanded universe was clumsy and convoluted and worst of all, it just didn’t hold anyone’s interest. In their rush to create their own superhero film universe, Sony instead doomed their effort and that is why the state of the Spider-Man films is in flux. Now, let’s look at the average fan’s dream. That the film rights revert to Marvel. What then? The emails indicate that Marvel wants to redo their flagship character. That means an extensive search for the right director and star. That will take some time. Then there is the matter of when to schedule their version of Spider-Man. Marvel Studios has a full slate of films through 2019. Will they delay one of their announced films to make way for Spider-Man? A film about him sounds less risky than one based on the Inhumans. Will anyone be interested in another reboot by then or even now? What’s likely is that Marvel will semi-retire the character until the next decade to build up demand. As it now stands with the Spider-Man brand weakened, who knows if Sony will make another Spider-Man film. We’ll find out in a few weeks when Sony executives will hold a summit meeting to decide the future of the films. There are rumors that Sony’s parent corporation, wants another shot with Marvel Entertainment. Let’s keep our fingers crossed that something can be worked out soon and that we haven’t seen the last of Spidey on the big screen.